When you host a music legend like Willie Nelson you need to make sure you serve nothing but the best. That is why Jimmy Kimmel brought out the Crown Royal when the two were having a chat. Willie Nelson stopped by Jimmy Kimmel’s bar, where he enjoyed a Crown Royal cocktail while answering “Three Ridiculous Questions.” He and Jimmy touched on a bunch of different topics which are pretty hilarious to watch. Plus here is a cocktail you can enjoy responsibly next time you have some friends over at your house. Chicago Cubs fans can rejoice! They just saw their team win the World Series. To celebrate long time Major League Baseball sponsor Budweiser pays tribute to legendary sportscaster and Cubs play-by-play man Harry Caray for Cubs fans everywhere. 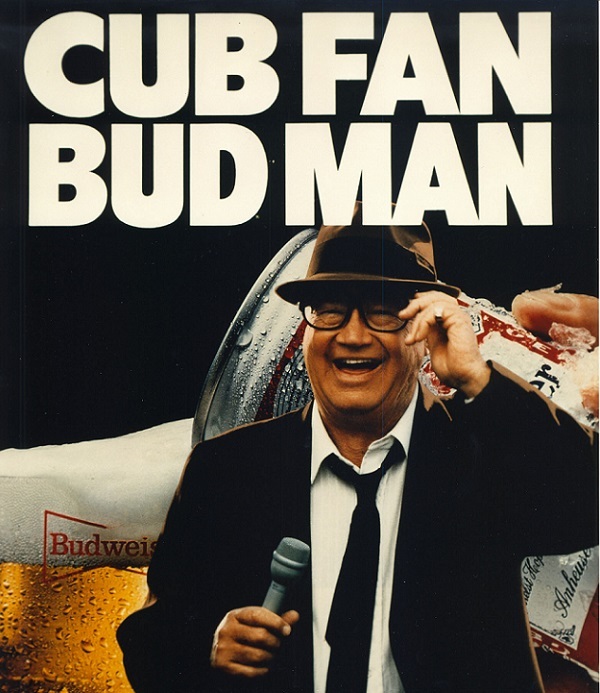 The ultimate Cubs fan (and Bud man) Caray dreamed of the day his beloved Cubs would win the World Series but of course never got to call the final out for a Cubs Series win. Until now. The new video was made a reality by Budweiser working with the Caray family estate to get Caray’s actual audio/voice and then lay it over with footage from last night’s win in Cleveland and celebration here in Chicago. The result should give any Cubs and Caray fan goose bumps hearing Harry call the Series as if he was still here with us on earth. Have You Seen The Earliest Show Yet? 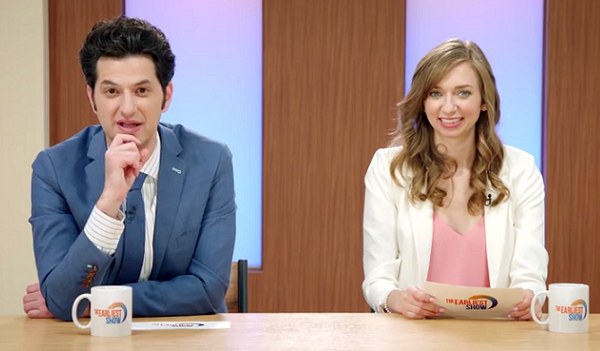 For its first act, the brand has partnered with Funny Or Die to co-produce a spoofy talk-show style digital series, “The Earliest Show” co-hosted by comedians Ben Schwartz (Parks and Rec and House of Lies) and Lauren Lapkus (Orange is the New Black). “The Earliest Show” pays tribute to the classic morning talk show with a twist; it’s happening in the middle of the night. A few weeks ago people on the east coast were impacted by Hurricane Matthew. 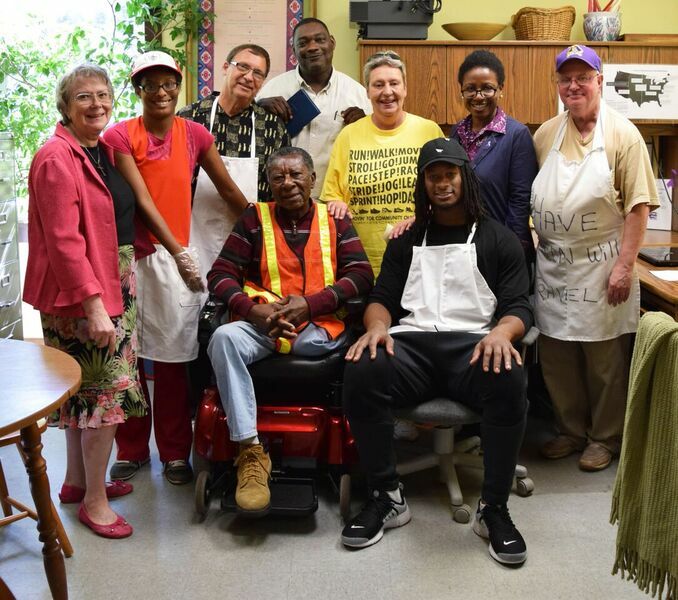 To help those in need LA Rams’ running back Todd Gurley returned to his hometown of Tarboro on Friday, October 28 during his bye week to partner with the Food Bank of Central & Eastern North Carolina. The Food Bank selected the Tarboro Community Outreach Center, one of their 800 partner agencies throughout central and eastern North Carolina, for Gurley to volunteer within their soup kitchen and food pantry. The Tarboro Community Outreach Center has been distributing food almost daily since the hurricane hit from their congregate feeding site and food pantry. Gurley spent several hours serving guests meals and distributing food to those affected by Hurricane Matthew. 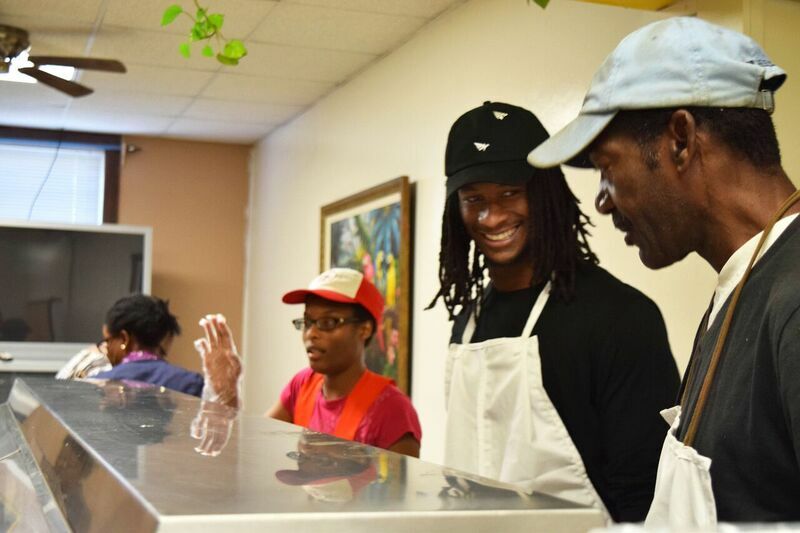 After making sandwiches and packing groceries, Gurley took the time to sign autographs and take photos with fans visiting the center. There is a very cool new app out there from Ford Motor Company. It will take driving to a whole new level. The all-new Ford Performance App brings track-based data-logging, advanced analysis, sharing capability and video capture to a user’s smartphone. It leverages the latest capability of Ford SYNC 3 and provides intuitive controls allowing users to record and share their track accomplishments. 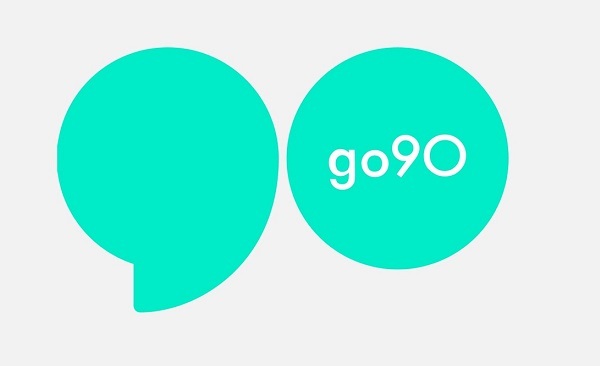 The app will be available for the most popular smartphone platforms in 2017. The Ford Performance App is based around the user’s smartphone, giving them easy access and portability to their data. Using a smartphone’s built-in camera offers mounting flexibility, letting users decide which perspective best captures the action. 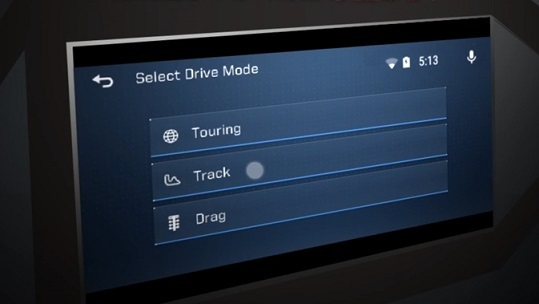 The Ford Performance App features multiple recording modes and provides a host of vehicle performance data. The latest SYNC 3 technology communicates with the app – integrating performance data with course overlays, timing statistics, and on-screen virtual gauges to be shared via a user’s smartphone. 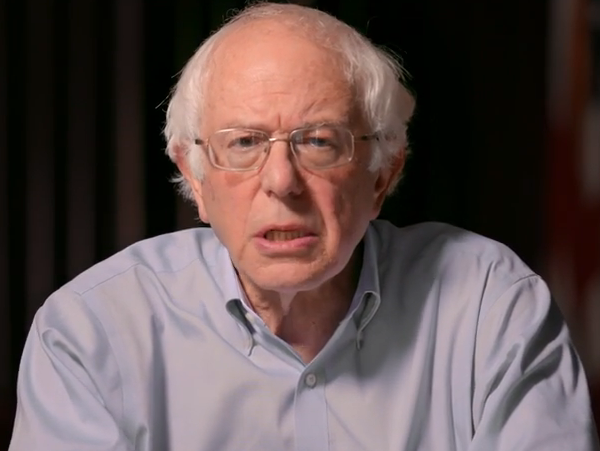 Data and video can be shared over social networks or exported easily for analysis on a personal computer. 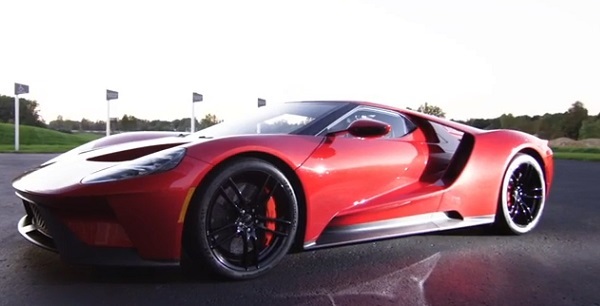 The new app launches in 2017 on the all-new Ford GT, and will migrate to other Ford products. There are a few true real trend setters. I am talking about the ones who change the way we look at things. Allen Iverson will always be known for single-handedly bringing hip-hop fashion sense and street cred to basketball. You never saw braids, tattoos, and baggy clothing until AI showed up in the late-90s, and his style would forever change the game – just like his play on the court. 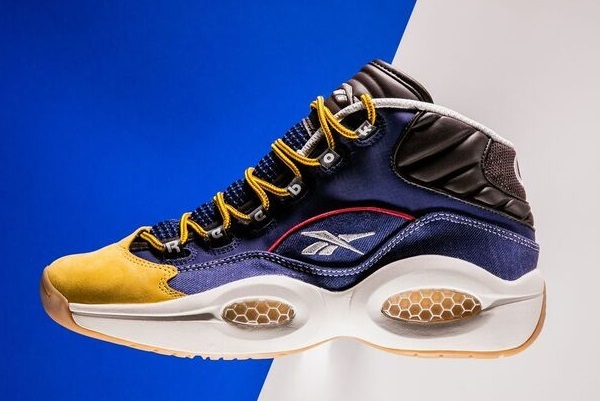 Reebok continues its Year of the Question for 2016 with another special edition of Allen Iverson’s first signature shoe. The Question Mid “Dress Code” features colors and materials pulled from AI’s iconic tastes, specifically blue denim and tan nubuck inspired by his baggy jeans and workboots. Further details include brown leather, white mesh interiors, gum outsoles, and “banned” symbols on each heel. 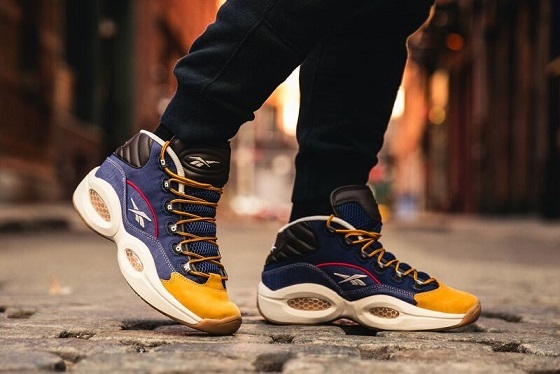 The Reebok Classic Question Mid “Dress Code” releases Friday, November 4th for $139.99 at Reebok.com and select retailers including Finish Line, Footaction and Champs Sports. Ever since Antonio was on Dancing with the Stars he now not only known as a football player, but now as a sweet dancer. So the Pittsburgh Steelers wide receiver teamed up with Rite Aid and Procter & Gamble to help a lucky fan win Super Bowl LI tickets. 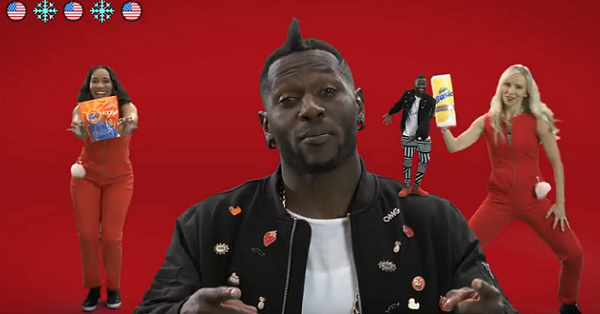 Known to cut a rug in the end zone, Brown showcases his moves in this catchy video encouraging viewers to enter their best dance moves while they clean around the house. To enter, fans share videos on social media of their own performances using #AntonioDanceContest and Brown will choose a winning dancer to send to Super Bowl LI with their family. For official rules and to learn more, visit your local Rite Aid or go to Riteaid.com/AntonioDanceContest. Trap Lord A$AP Ferg is all hyped up for Halloween. He recently shot a video where he takes us around Harlem to talk about his favorite memories. 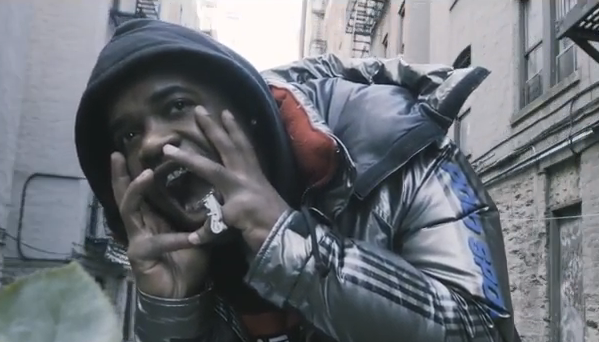 From the time when he was a young kid to now A$AP Ferg gives us Halloween Tour of Harlem.